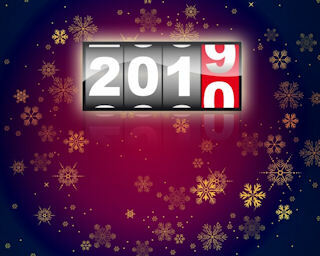 It won’t be too long now before we say good bye to 2009 and hello to 2010. Enjoy your New Year’s Eve, everybody. Only two more days until 2009 is just a memory. No matter how great a year may have been, come the end of December, we all seem to look forward to a new year and the promises it brings. 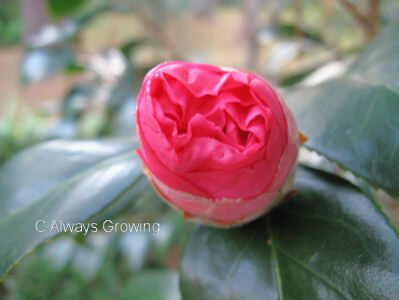 For me, a new year brings thoughts of a new gardening year, which I can’t wait to get started. I haven’t been able to get out in the garden even though I have been off work for a week. 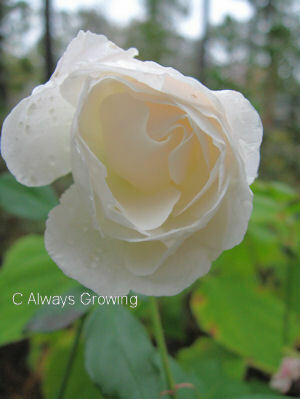 It has been too wet and cold, though nothing like more northern gardeners are going through. Rain is predicted for tomorrow, so I am hoping to get out early and do a little fertilizing of the winter annuals and Louisiana irises which are growing now. 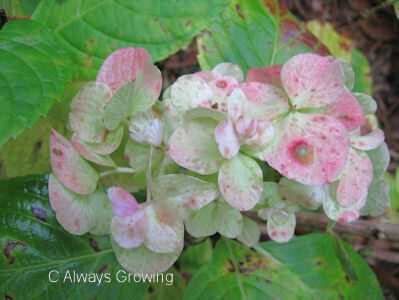 While, out in the garden a few days ago, I noticed a pink hydrangea still had a bloom though it is looking old just like 2009. We have had a few light freezes, but most of the tender garden plants are still hanging on. Even in its decline, this flower still has appeal. I guess the same could be said for 2009; it had its great moments, and I hope 2010 has the same. I hope everyone had a very merry Christmas yesterday. 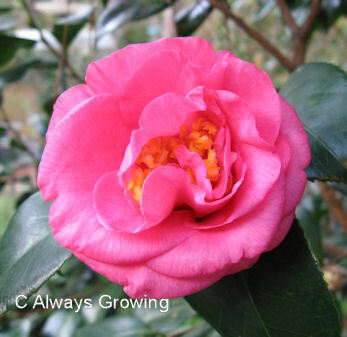 I know I am looking forward to New Year’s Day and a new year of gardening. Can’t wait for spring. It’s that time of year again. Tomorrow is the big day, so don’t forget to have the kiddies track Santa. Norad (North American Aerospace Defense), a joint United States and Canadian organization, has a great site that tracks Santa as he visits the children of the world. 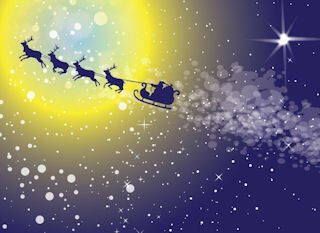 Click here for the Norad Tracks Santa site. As of 7:00 am CST, Santa was already in Vladivostok, Russia. Click and see where he is now. I hope everyone has a wonderful Christmas with family and friends. 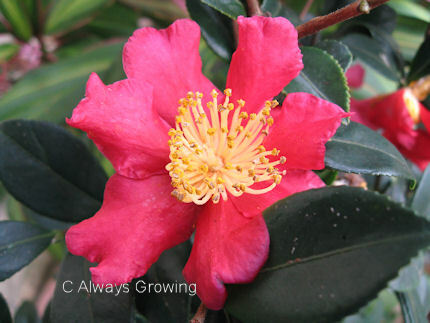 The sasanqua camellias have been blooming for several weeks now, but today, just in time for Christmas, our big pink japonica camellia had its first bloom open. What a wonderful Christmas present from Mother Nature. Well, today marks the winter solstice, the longest night of the year. It will only be a few days until we can discern that the days are slowly getting longer and Mother Nature gives us the promise of spring. As I walked about the garden today and was looking at a few buds, I was struck by the idea that even in the dead of winter, there is another promise – of colorful flowers. So, even though today is the start of winter and tonight is the longest night of the year, there still are signs that there is life out in the garden. I know I have been complaining about the weather lately. Too much rain and gloom. But, yesterday was a gorgeous day. It was cool, crisp, and sunny. A lovely day, but unfortunately the rain and gloomy weather was back today. Not so much rain as in previous days, but it was cold, damp, and deary. Here’s hoping the weather people are right about the next few days – sunny, sunny, sunny. Even with all the rain and lack of sunlight we have been having the last three weeks, there still are a few things out in the garden that are growing. The Louisiana irises are starting to grow well in preparation for springtime blooms. 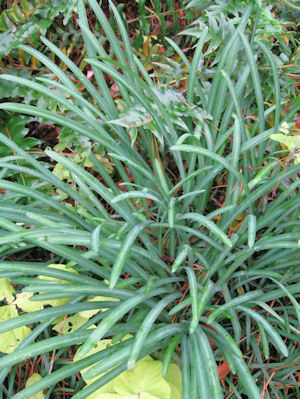 Also, this is the time of year that the lycoris radiata are putting out their foliage. These look a little crowded and will probably have to be divided this spring when the foliage dies down. 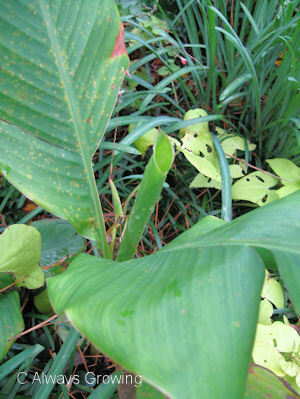 There even are some cannas that are putting out new leaves. It hasn’t been that cold yet (just a few light freezes) so I guess even some of the tropicals are enjoying all the moisture after such a dry autumn and are growing. 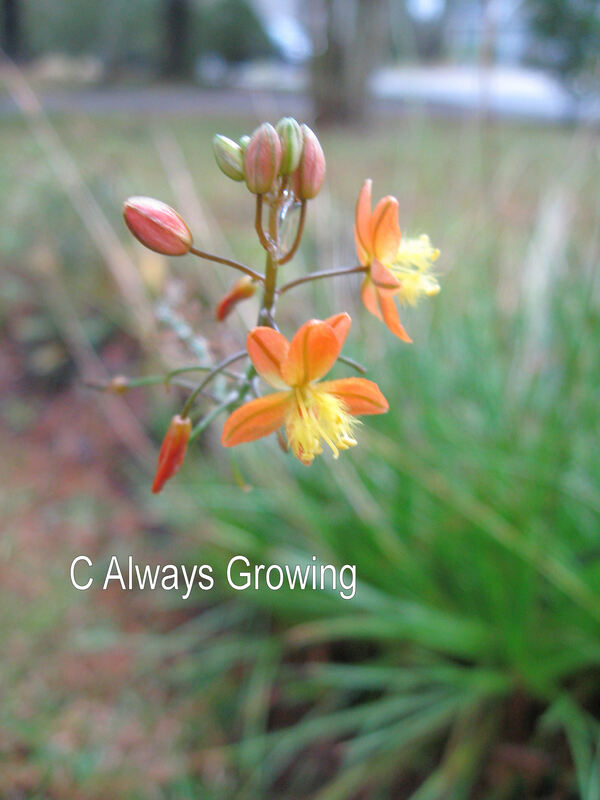 This December there seems to be pretty slim pickings in regards to blooming flowers. 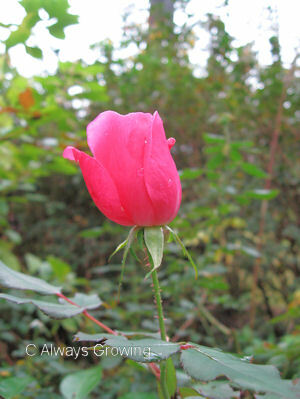 When I look back at December 2008, there were so many flowers still around, but not this year. December 2009 has been very rainy, I mean VERY rainy. Our area has had over 22 inches of rain so far this month making this the wettest month ever recorded. The last few days especially have been just terrible. Rivers are swollen and many homes have flooded which will make this holiday a little harder for many people who have a lot of cleaning up to do. Unfortunately, more rain is predicted for Thursday. 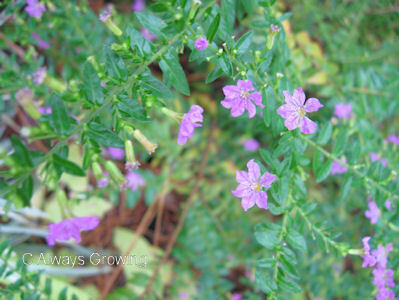 But, to get back to what’s blooming here in south Louisiana, it seems that it is mostly small flowers like Mexican heather, bulbine, blue daze, impatiens, butterfly weed, and violas. A few roses are still blooming: Butterfly rose, Iceberg, and the Knockouts. 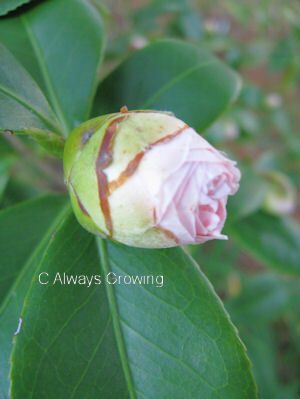 Camellias Yuletide and an unknown white are blooming, but Debutant still has tight buds, so next month I should have photos of her. 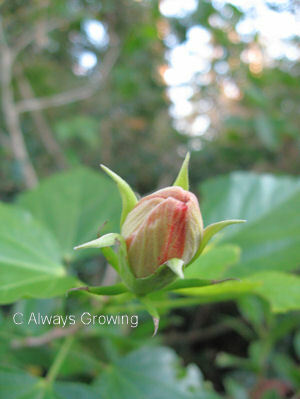 The hibiscus are still putting out flowers but, of course, not like they were doing when it was warmer. 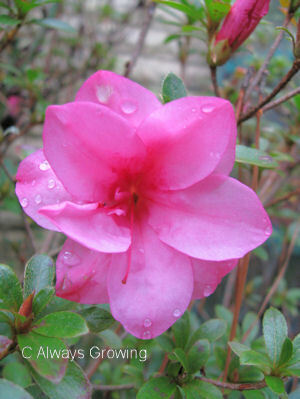 One azalea bush must think it is spring because it has started showing some flowers. Boy, is it in for a surprise come January, our coldest month. 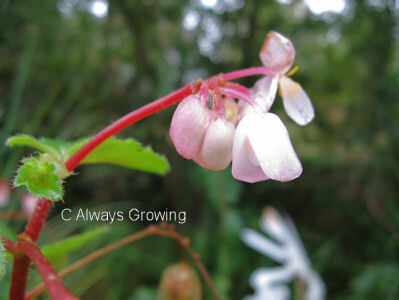 Some tender perennials are still around like this perennial begonia. It always surprises me how this particular plant will survive the winter. The pineapple sages are still blooming as well as the salvias such as lady in red, coral nymph and mystic spires. I know this is a lot more flowers than many northern bloggers have, but for down here, this is a pretty pathetic December GBBD. Maybe by next month, the winter annuals will be putting on a better show. What a difference a year makes! Last year at this time we were covered in snow, something unheard of in South Louisiana in early December. (We very rarely have the white stuff show up here at all.) It was a glorious day with picture book settings all over the area. 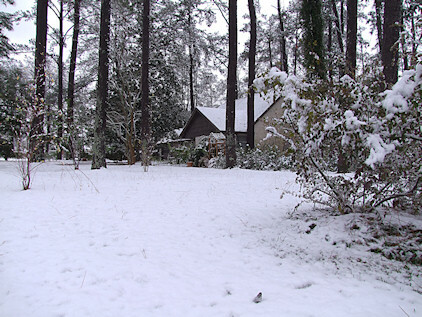 It was so strange to see our Deep South home looking like it was set in a winter wonderland. Fast forward to this year – nothing but rain, rain, rain, and more rain. We have only had two non-rainy days this month, and this month is now officially the wettest December we have ever had – 7.21 inches – and it is only December 12th. Because this is usually only a chilly month, I am still able to work out in the garden. But with the last four weekends being nothing but rainy, nothing is getting done. I haven’t even been able to rake up the pine needles I use for winter mulch. Thank goodness we do not have many hardwoods because wet leaves on a lawn can be a real problem. No weeding is getting done (yes, weeds and grass still grow here during the winter), no trimming is getting done, and no planting is getting done (yes, we still are able to plant many things in the winter). 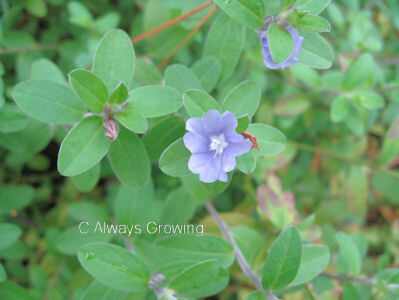 Another problem with all the clouds and rain is that my winter annuals aren’t going to be getting the sun they need. 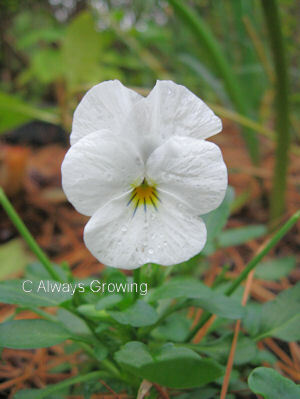 If something doesn’t change soon, I am going to have the lankiest violas and petunias around. I am starting to worry about my caladiums, too. Because of our mild climate, I can leave them in the ground over the winter. They are in a well-drainded area, but with all this moisture and cold temperatures around, I am getting a little concerned. Oh, well, if they don’t make it that will give me an opportunity to plant something different. All this rain is reportedly because of El Nino which brings in low pressure systems from the west, one after the other. Since El Nino usually protects us from a severe hurricane season, I’ll take the rain over another Katrina. It would be nice, though, to have little snow instead of so much rain. Here in the Deep South, fall color is usually pretty pathetic. We don’t have the hard woods that turn such lovely colors in more northern areas. Also, we don’t usually have a cold snap that starts the leaves to change colors, and living at lower latitudes we still have a lot of sunlight. Of course, we are not totally without some autumnal color. 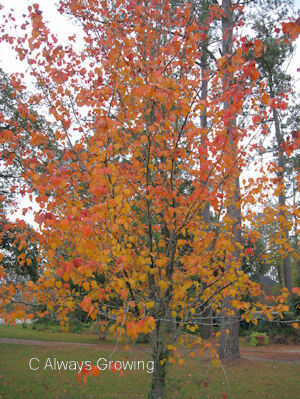 Crapemyrtles and tallow trees will start turning in late November and will give us some reds and deep oranges. Many years they can be quite striking, and then, other years their leaves just seem to turn brown and fall off. Usually, green is still the dominate color down here all through the fall and winter. Today, however, our Bradford pear finally showed its color. It seemed very striking especially since it was an overcast day. 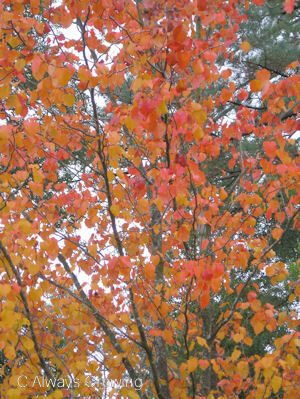 As I pulled in the driveway this afternoon, the bright leaves stood out against the gray sky. Here it is, the middle of December, and we are just getting our fall color. I have been drooling over the gorgeous fall pictures on other people’s blogs for months, finally with all the red and green of Christmas, we get our oranges and yellows. I know Bradford pears are not considered good trees to plant because of their brittleness, but when I see them like this, I wish I would have planted more.